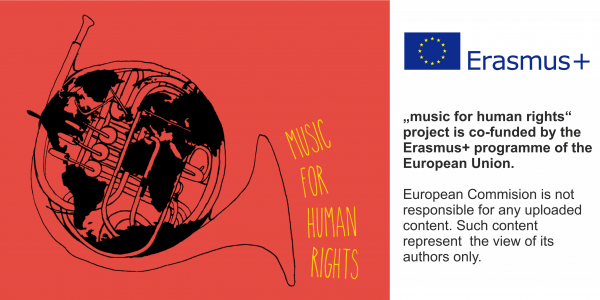 This is the blog of the international music youth project "music for human rights". Two parts of our projects already passed. In Jerusalem we created songs about the intercultural dialogue. The post-production and mastering of the songs was done by Slobodan Rekovic, sound master of live music and studio works. Gsus4, Disko Bobina, Sun in the bunker and Carlitos gave an effort you will appreciate. Very individual songs were created, which shows the influence of the band members very well. Please take also care for the lyrics. Recently we published the songs on our soundcloud channel. The second part in Berlin is still in good memory and its songs are still in post production. It will take a few weeks more, since the work is on voluntary base. In mean time, we work on preparations for the next part of the music project. It is planned to be implemented in August in Pancevo led by the local partner Narandžasti. The final event is planned to be on FreeDom Art Festival and so the songs will deal with freedom of art. The project is still not approved, we expect answer in begin of July, but we are very optimistic, that it will be. For that reason you can already register for it. How does it works? Click the link Participation on top of this form and fill the registration form. Please do it carefully, after your data will be used for booking flights. So please put all your names, fill correct data and doublecheck. Once we received your registration, we will send it to our local partners, who will do the final decision on participation according to several needs, such as balance by instruments and gender, fitting to eligible age (16-30 years) and some more. You will be informed as soon as possible for prospective participation and in begin of July for final decision. In between we follow our work, report, prepare and listen the playlist. Stay tuned!